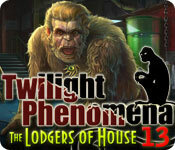 Twilight Phenomena: The Lodgers of House 13 is rated 4.2 out of 5 by 47. Rated 5 out of 5 by allygirl5 from Loved it Played this as a demo and will definitely be buying this game! 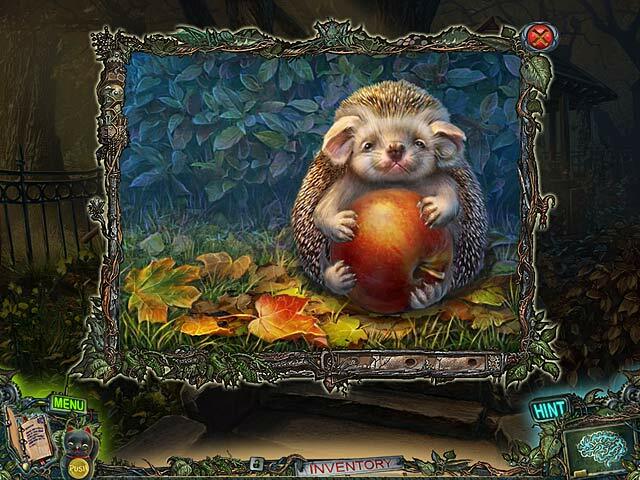 Rated 5 out of 5 by peperica from Twilight Phenomena: The Lodgers of House 13 I loved this game because it is different from the other HOG games. I laughed at certain things that was funny and enjoyed the puzzles. To me some were really challenging. The game kept me interested and excited to find things. I will play it again and again. The only thing I wanted everyone to be reunited with themselves. I don't want to say too much and give the plot away. Will there be a sequel? I hope so. Rated 5 out of 5 by golfje from good time a very good and creative game!! Rated 5 out of 5 by Tflo from It's a YES for me This is what a game should be! Great visuals, fun storyline, good puzzles, and long! Rated 5 out of 5 by Lady__Bug from Great-No Hidden Objects Loved the game good to use your brain skills to solve puzzles-well done ERS games!! Rated 5 out of 5 by SolarEclipse from Fun, Lighthearted, and Entertaining I almost would have missed this game had it not been for the blog walkthrough. There’s not anything that I would really consider creepy or scary. Just a few talking heads. It’s not gruesome, just funny and campy in my opinion. ERS characters are always rather amusing. I always look forward to the hyperbole that their characters bring to the game. It’s hilarious because they are always exaggerated and comical to the max. And this game is no different. There aren’t any hidden object scenes. Just a lot of bright and fun colorful puzzles. You collect items for your inventory that you use to interact with other objects within the game. I didn’t mind. I actually wish ERS would make one or two more games like this with the lighthearted storyline and entertaining puzzles. There are lots of locations and a lot to do. There is also quite a bit of backtracking and there isn’t a map. This is one of the few times where I’ve bought the standard edition and I wish I had bought the Collector’s Edition. I used the blog walkthrough several times. It’s hard to remember where things are sometimes. I copied it from the blog and pasted it into Word. But I wish I could have utilized the in-game strategy guide. But now I’m also curious about the bonus game. I enjoyed the game so much I was ready for more when it all ended. I actually think this is one of ERS’ better games. The graphics aren’t as sharp and crisp all the time as some of their others, but it’s not too bad. It was a long game for me. I could only get through 6 chapters in one day. There are a total of 12. Overall, I thought this game was refreshing. I would recommend this if you don’t mind the absence of hidden object scenes. If you’re a fan of ERS and just want good fun, then this just might be the game that you’re looking for. Rated 5 out of 5 by bwendyh from Every puzzle leads to another puzzle Played this game with daughter and we enjoyed it. Everytime you solved a puzzle, your reward would be a piece to another puzzle. We had fun but dont recall any HO. Rated 5 out of 5 by shibas1 from Loved it. I really enjoyed this game. Great puzzles. not all hidden objects. Good story line, great fun. Rated 5 out of 5 by hibc60 from fun and well done based on the free trial only I bought this game as soon as I finished the trial. it is fun. I love the cat that helps you out, just pure fun. the hint button helps direct you - a map might be nice but not essential. I don't play with sound so can't evaluate that but the graphics are good. 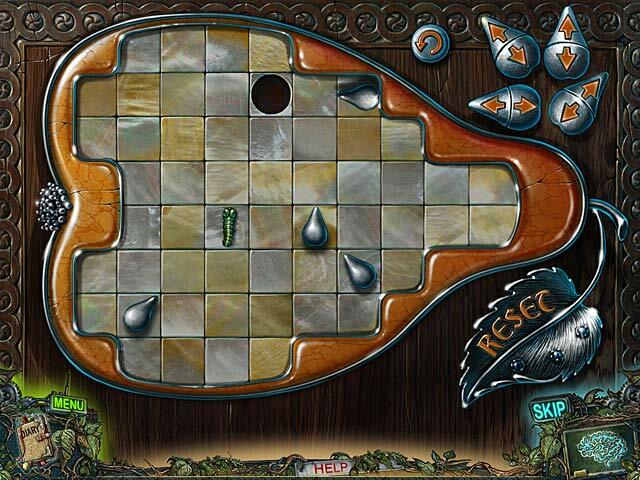 lots of things to find and puzzels to solve but not a bunch of hidden objects that you can't see. I think this is one of the best out recently. I highly recommend this game. Rated 5 out of 5 by rosekaufmann from ABSOLUTELY SUPERB This game is so interesting and unique. The artwork is gorgeously done, the sound effects and animation superb, and I especially like the intriguing surprises that show up. The brain showing areas of interest was especially well done. You're supposed to stay out of the right wing because of "renovations" - well it just begs you to go exploring when the master of the house isn't around. There is so much to do and see here. If there's one negative, it's that people's lips don't track with the dialogue. This is a game that I will definitely play more than once or twice. A very well developed, polished game. Rated 4 out of 5 by centauri272 from Good puzzle game! This is not a HOG! But it's full of puzzles. The graphics are great, as usual for ERS. There are 3 game modes. The mini-games are easy. The diary is helpful. There is no map, but the game is pretty linear, so it's not a problem. The hint system is like "nothing to do here". The game is rather short; without skipping, I needed a bit more than 2 hours to finish. Rated 4 out of 5 by try3cats from illlogical adventure in a mad science home Game has you doing tasks with items, that do not make sense. I enjoyed the game, but had to use the walkthrough. A couple tasks were not logical. I did not need to use the skip on puzzles. So difficulty level is ok for beginners or intermediates players. The game keeps you moving forward, so you do not have to go back to other places to much. It would have been nice to have map or something to show when all task completed in that area or room. Spoiler alerts Using a fail on wheat, to get grain, to feed bird. Could have pick the seed grains by hand, didn't need the flail. Putting oil on burning hot liquid gold to get a clue, did not make sense. Rated 4 out of 5 by Angelique1971 from No HOS, Lots of Fun I had a blast playing this game. It had a twisted story which I love. Immediately after you sign your lease for a room, things go from strange to bizarre. Now you want to leave but you're alone and locked in...and you're off! The graphics were good, typical ERS. But one of the nicest parts for me was no HOS. I like them, but sometimes they dominate a game and I honestly did not miss them here. Puzzles were plentiful,easy and I finished them all (not normal for me). Not having a map was fine as items were often used soon after being found and the usual back and forth was limited. And I can't forget the cat hologram that helped with some of those hard to get objects. Granted this game was not the most challenging but it sure was fun. Rated 4 out of 5 by dark_riddler from beware O.O you shall be addicted. Not a perfect game, yet managed to totally grab my attention. It has a spooky and great OST. It has some beautiful hand drawn places and objects, with the right atmosphere (sometimes, retro, as intended to be). The cat hologram is a fresh and lovely touch (really, more games with this cat are needed). The plot has some flaws but it's still interesting and tense enough to try to find what will happen next. The flaws: I would love to have meet some more strange characters (there was a delightful Tree and I still do not know if it was supposed to be a character or not but had the potential). The game felt somewhat incomplete without them, to me. The puzzles were too easy and obvious, so not really a challenge. Fast but entertaining game, nevertheless. Rated 4 out of 5 by neilskinut from Good game and not that hard ERS has changed there format somewhat in this game. I still think it interesting and fun t play. Has voice over and the music and graphics are nice. I have just played the demo and will buy it. The game seemed pretty easy to me and yes there were no HOS so far. That does not bother me. I like adventure games. Some puzzles are hard and some are easy. The hint button does not tell you where to go just that there is nothing in that seen. Thought is was fun and did not take you all over the place to find clues. Pretty straight forward and I like that. Rated 4 out of 5 by denniann2 from excellent for challenge in my opinion this game was harder than most of the games i have been playing lately. i had to cheat quite often. i missed the things i needed to do. i played casual and the hints/skips took a little longer to charge than some of the others. not ridiculously longer in casual just longer than the others i have been playing. the game is about a mad scientist that uses people's heads to become more intelligent. you come across these and it is sort of creepy. graphics were good and i didn't use sound. Rated 4 out of 5 by GreatOz from Beautiful mansion with a terrible secret Ones you found a beautiful old mansion with inexpensive rent you immediately packed your suitcases and decision was made. You moved in but very soon you will find out way the rent is sow low in a such magnificent manor. 3 modes in the game: casual- skip and hint recharge quickly, active zones highlighted; advanced- active zones are not highlighted, hint and skip buttons slowly recharge; hard- tips disabled, skip and hint buttons recharge very slowly. Must say, storyline is outstanding, perfect combination of mystery and horror- Weird experiments, mad scientist,..but not actually so scary it’s rather fun and occasionally spooky Good graphics, colorful. Really nice voice overs. You have a journal during the game, no map, and you have a hologram cat- it will help you manipulate other creatures that you encounter on your way. 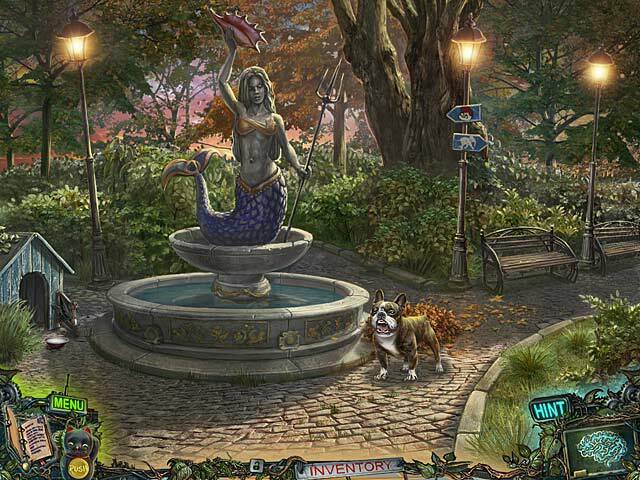 No hidden object scenes, that didn’t bother me cause I am a fan of puzzles, and they were just amazing. I love when there is a variety of them, so you enjoy both challenging and easier ones. A lot of things to find and rooms to visit before you can play them, just constant interaction with the game. My honest recommendations! Rated 4 out of 5 by swampie from Good, Solid Game This game is colorful and good-looking throughout with an interesting, if predictable, storyline. The puzzles are enjoyable. There is a bit of "running around" and the ending is abrupt. The SE is worth the price. Rated 4 out of 5 by chi_love from Great for Beginning Players: A Hidden Puzzle Game I completed the 1-hour demo and my review is based on that. This is not your typical HO with a scene that you click objects from a list - what a nice change! Instead, you find one or more objects in a room that belongs to a puzzle to solve, which then opens up a door to a new cubby hole or area. The animated video is nicely done, the graphics were hand-drawn and soft-focus variety. The story was a bit quirky and at times amusing. I found the puzzles fairly easy and the game play a bit predictable, so I think this game would be great for those new to the genre, thus the 4-star rating for that audience only. Rated 4 out of 5 by Sunlaker3 from Somewhat Short Enjoyable game. Easy Puzzles. Unfortunately, it was quite short...about 4 hrs. Rated 4 out of 5 by nspiel from Very nice adventure game I was very happy to find an adventure game and not a boring HO game as there are so many (I personally don't like to look for lists of objects). I loved the different puzzles and situations to solve even if they were a bit too easy for me. Rated 4 out of 5 by cherryberryblue3 from Not the same ole HOG! This is a great game. The game moves quickly enough that you don't get bored and there are plenty of mini games. You get to constantly interact with the environment so you're not just staring at one HOG scene after another. I was disappointed in the abrupt ending, but still think this is a great buy. Storyline is weirdly different which I also liked! Rated 4 out of 5 by rebka from twilight pheonomena the lodger of house 13 brillent game the graphics and are sound are superb, the puzzle are good and it fun to play, but makes you jump at times. Rated 4 out of 5 by puppydogtails from This Is Not A HO Game! Not Even in the CE Though I really liked the story line, and the detached heads in jars, muhahha, I was very disappointed there were not any HO scenes in this game. The puzzles were interesting but I found them to be too easy for me. I played this game on the second choice because I don't like to have sparkles show me where things are in games, but may need a hint now and then, and it was just too easy. An enjoyable game, but the extra bonus did not include extra game play unless I missed it. And to be honest if there was anymore bonus gameplay in the bonus of the CE, I probably would have skipped it anyway. A good game, since everything is almost in a linear Adventure type format, but I thought it would contain HO scenes and so I gave it a four because it didn't. Rated 4 out of 5 by majageorg from Great fun!! Keep your head on the shoulders.... Played and reviewed already the CE version. I highly recommend to purchase this version, as there are no mentionable extras in the CE as collectables or achievments. This is one more great game from ERS! Graphics and storyline are outstanding! Very good voiceover. Lots of unique, more or less challenging minigames. 3 modes to play. A very detailed journal, but no map... And I loved the hologram cat, which interacts with other creatures if needed. Yes, I do recommend this one!! Rated 3 out of 5 by Mrs_Kim from A bit too much for me I like ERS games but they are well known for having the weirdest of storyline and this one is no exception, in fact I think this is the strangest and make no sense at all. I don't like having to deal with monkeys and severed head, but I decided to give this a try since I have to use my free game coupon which is about to expire. Up to chapter 2 I realize there is no HOG, which is great! But again, I dislike having to deal with a big monkey and some part we have to deal with animals, sometimes with a little cruelty. I don't know what's the deal with the holographic cat in the first place. It is just there but no apparent connection with the story. What I like most is that the game is very long and really there is no HOG. Sometimes I need this kind of adventure games. If you don't mind seeing some talking heads, then this game might be OK for you.. Rated 3 out of 5 by Powrtoc1 from The Beauty and the Beast Story line was okay, but I was expecting a little more mystery. There were no HOS so I would relate this as more of an adventure. I had to rely on the strategy guide as a crutch, a map would have made navigation much easier. I did like the cats, though.